Want to purchase the full kit? Click here. 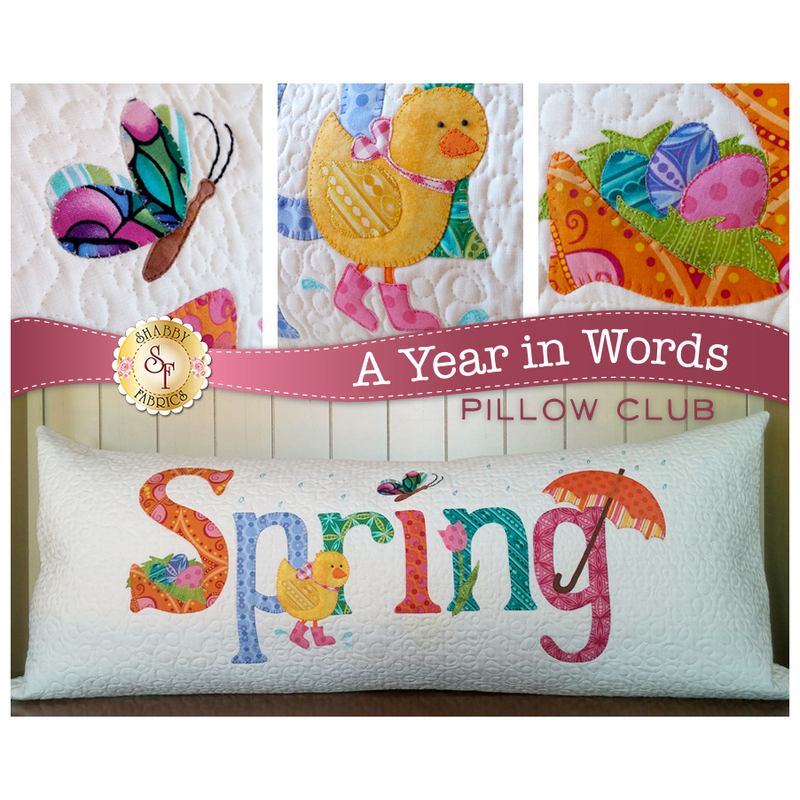 Add a charming touch to your home with this "Spring" pillow from the A Year in Words Pillows! This Shabby Exclusive measures 3 FEET LONG x 15" high and has an envelope backing making the pillow form interchangeable. 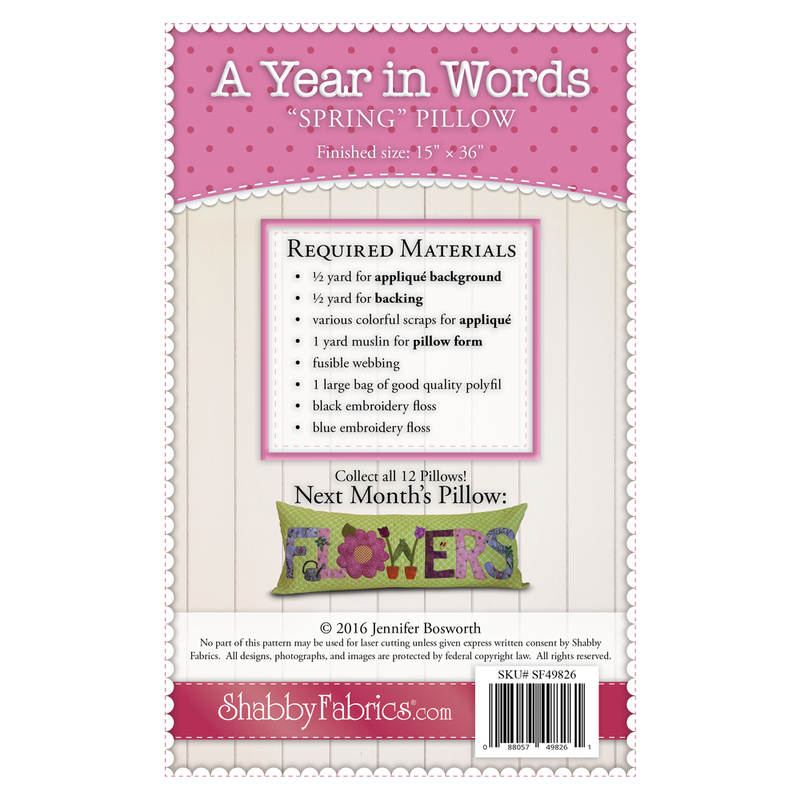 The pattern will include the instructions and diagram to complete the pillow.